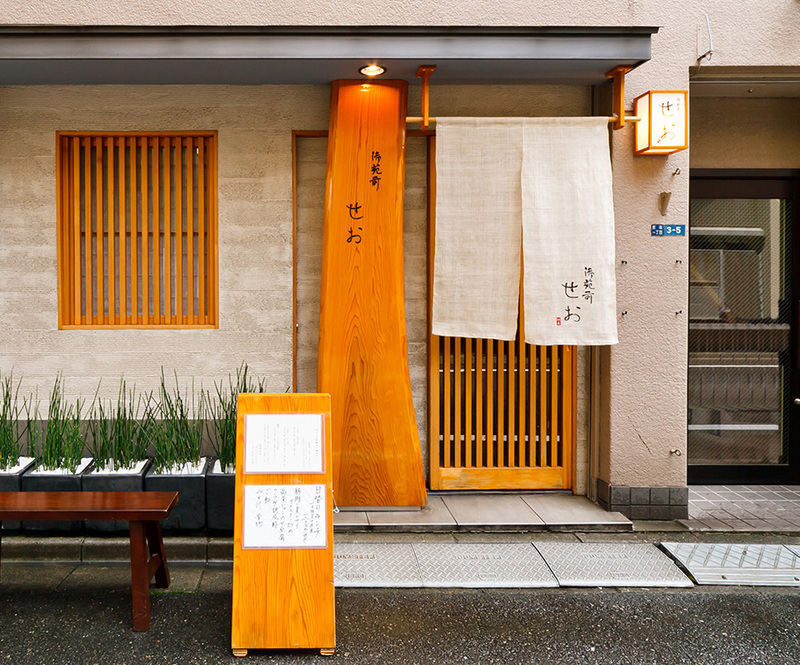 Delightful Japanese cuisine with delicious fine sake. 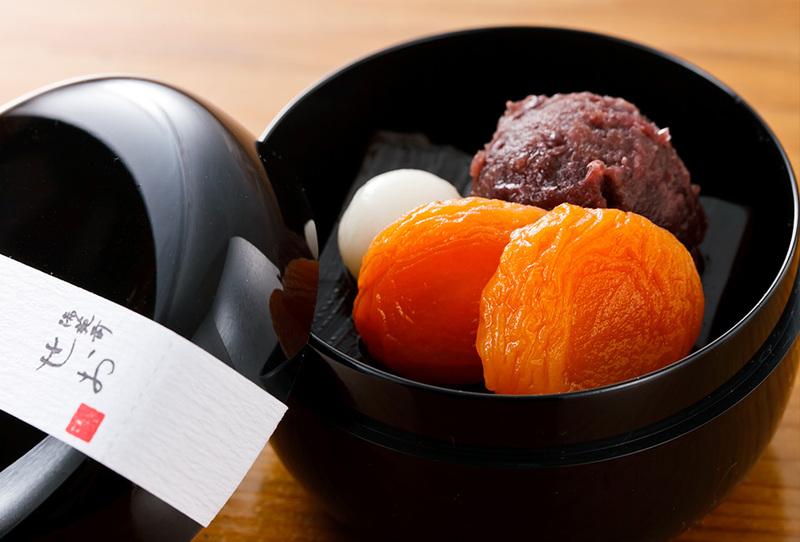 GYOENMAE SEO offers pleasures of the best seasonal dishes in the Japanese Kaiseki course style. All products and ingredients from Tsukiji Fish Market and locals in Japan bring their tastes out to the maximum into every dish. You may want to complete the dinner with SEO’s signature, Teuchi Juwari Soba Noodles, all handmade soba noodles made from 100% buckwheat flour. 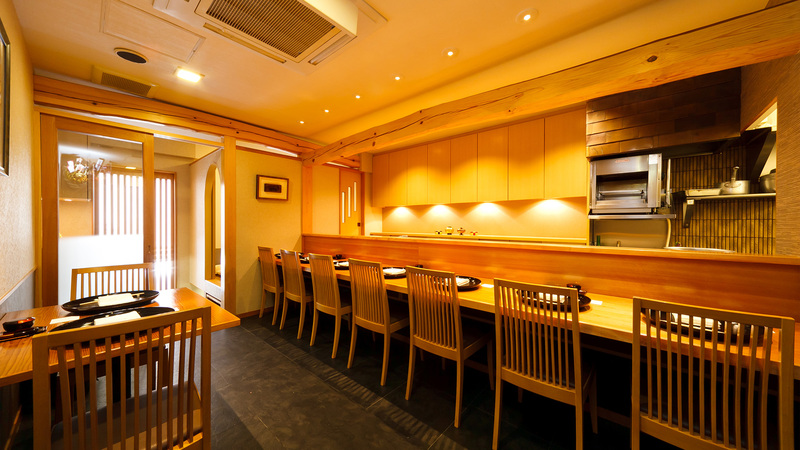 Please enjoy cozy atmosphere and taste of authentic Japanese delicacies with warm service. White plain wood such as Japanese cedar and cypress create exquisite yet warm ambience. The spacious counter holds seven seats, where you see the chef’s preparing your food in the open kitchen. A table for two and a private room for four are also available. SEO’s signature, Teuchi Juwari Soba Noodles, all handmade soba noodles made from 100% buckwheat flour, along with various toppings. 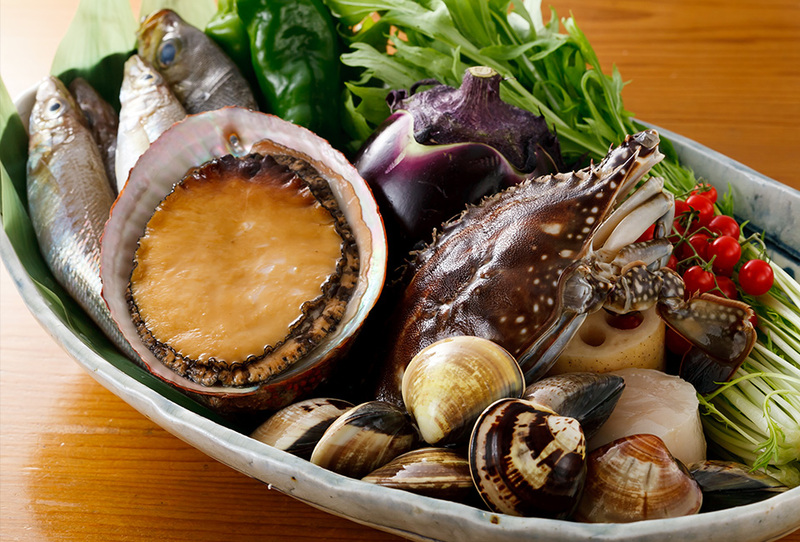 Traditional Japanese Kaiseki course dinners with seasonal ingredients. Please enjoy the tastes of the seasons in Japan. Please bring back and share SEO’s delights at home and occasions. Sweets and various Bento Boxes are available. We talk about seasonal products and ingredients you can enjoy and Special of the Day Lunch set menu here.